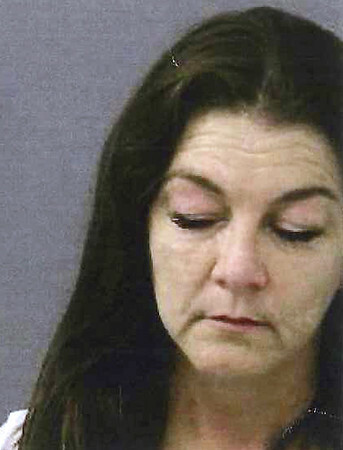 WINDSOR LOCKS - A Grammy-winning country music singer has been arrested at a Connecticut airport after what was described as a minor disturbance on an incoming flight. Gretchen Wilson is charged with breach of peace. State police responded to Bradley International Airport in Windsor Locks just after 7 p.m. Tuesday. Police say while talking to Wilson she “became belligerent toward the troopers and caused a disturbance.” The 45-year-old Wilson was taken into custody. Bail was set at $1,000. Wilson, of Lebanon, Tennessee, is expected in court Wednesday. Her case was not listed on the docket and it couldn't be determined if she has a lawyer. Posted in New Britain Herald, General News, State on Wednesday, 22 August 2018 11:36. Updated: Wednesday, 22 August 2018 11:38.